At least 15 Palestinians, including two militant leaders, have been killed and a dozen wounded in air strikes by the Israeli Air Force on the Gaza Strip. 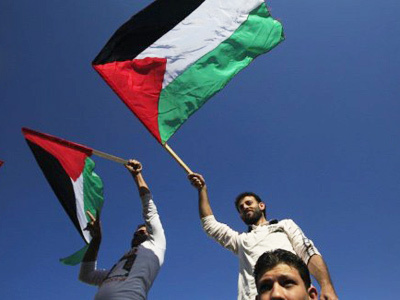 The attacks were launched in response to the shelling of Israeli territory from Gaza. 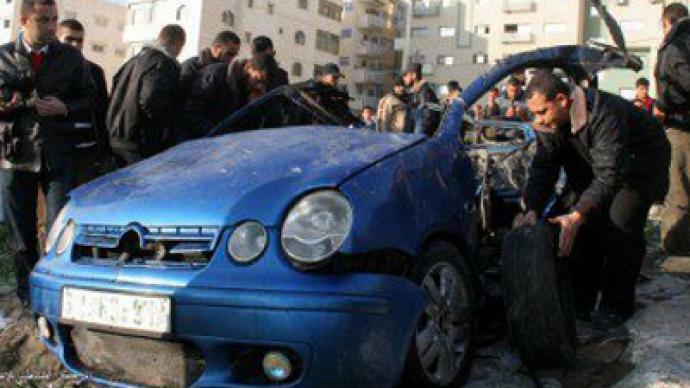 ­A senior Palestinian militant Zuhair al-Qaisi, the secretary-general of the Popular Resistance Committees, was killed in the first strikes by Israeli warplanes, along with another senior member of the PRC, Mahmoud Hannani. The PRC, which has strong ties with Hamas, is known to have carried out rocket attacks against Israel, and the Israelis say al-Qaisi was targeted because he was planning an attack. In response to the attack that killed al-Qaisi Palestinian militants fired approximately 92 rockets from Gaza into southern Israel. 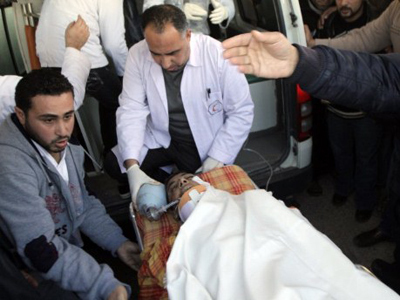 Israeli sources say at least eight people suffered injuries in the shelling, one of whom was seriously wounded. However, 27 of the rockets were targeted by Israel’s Iron dome system, with 25 of them being intercepted, Haaretz reports. The Iron Dome is designed to only intercept rockets identified as heading towards populous regions. The IAF then performed another series of airstrikes on various targets in the Gaza strip on Friday night in response to these latest attacks. The latest airstrike killed three Palestinians after an Apache-fired rocket hit a house and a car, Al Jazeera reports, citing medical sources. 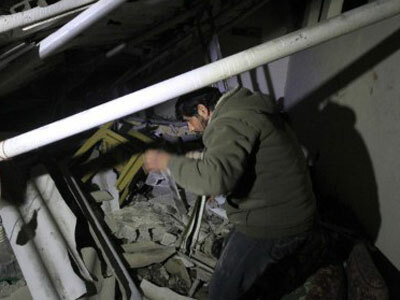 Three of those killed in the air raids reportedly belonged to a military wing of the Islamic Jihad, the Al-Quds Brigades. Some of the targets of Israeli war jets included empty military training camps in different parts of Gaza Strip. Political analyst Dr. Hani Al-Basoos told RT the current escalation of tensions in Gaza reflect are linked to Israeli Prime Minister Benjamin Netanyahu’s trip to Washington on Monday. Al-Basoos further said the violence doesn't bode well for the flagging peace process. 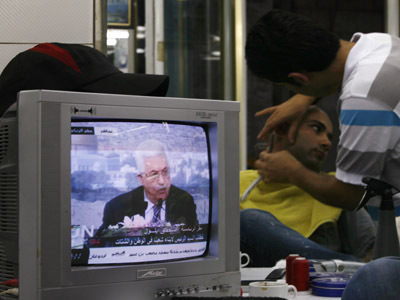 “I think the peace process is dead and there are no negotiations anymore. The Israeli government and the Israeli cabinet haven’t accepted the Palestinian initiatives for peace.They do not want to have any kind of a truce or ceasefire. There is no hope for peace with the Israeli side. For the past 20 years now, the PLO [Palestine Liberation Organization] and the Palestinian Authority have negotiated with the Israeli side, and at the end we can see clearly that the Israeli military is using its own power, might and tanks to attack the Gaza Strip and the Palestinian people everywhere. 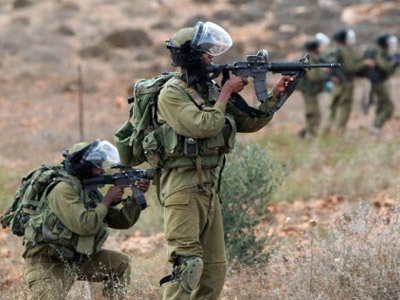 This is an indication that the Israeli occupation forces don’t want peace.This is their own terms of peace," he said.